LUXURY LIVING WITH BREATH-TAKING VIEWS! 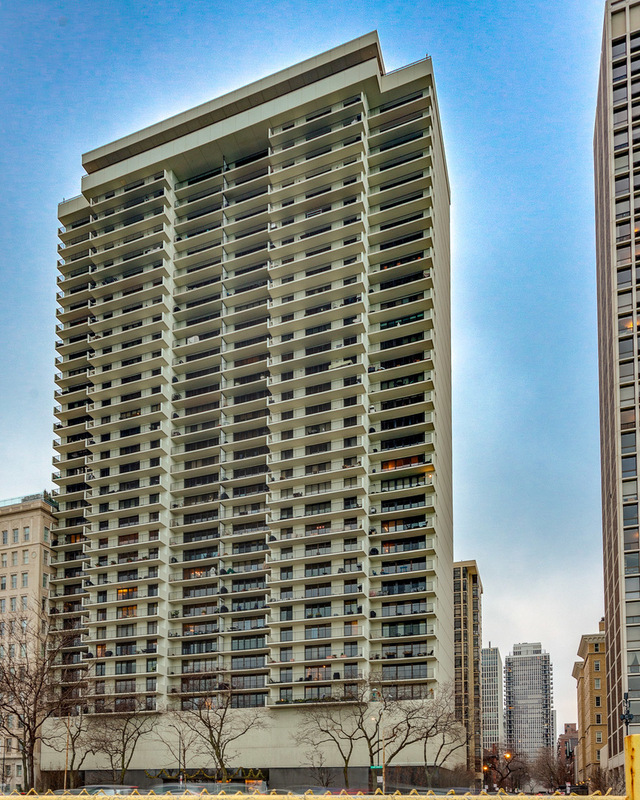 This true lakefront 2BD/2BA is 1700 sq ft of quality finishes, boasting panoramic views of our beautiful city and the lake from every room. Modern open-concept living room & dining room featuring walnut stained hardwoods, high ceilings, and beautiful woodwork and crown molding. Come Springtime, you&apos;ll be able to relax and unwind after a long day&apos;s work, or pop the bubbly for a celebration on your private 42ft full-size balcony with access off every room. Seller is including the gas grill, so you&apos;ll be dinner-party-ready as well! Kitchen and baths are updated w/granite, new fixtures, SS appliances, and classic white cabinetry. Master BD oasis has 4 closets! Every closet throughout has professional organizers. MAJOR MECHANICAL UPGRADES INCLUDE NEW WINDOWS/SLIDING DOORS (This upgrade alone cost $40K+ & PROVIDES ENERGY EFFICIENCY & TREMENDOUS SOUNDPROOFING), NEW HVAC SYSTEM, WATER HEATER, & HIGH-END CONDENSATION WASHER/DRYER. Unit 18BS has it all!